With the leading businesses in the world now being technology and intellectual property-based rather than physical asset-based businesses, investors are looking more proactively for early stage companies that have similar characteristics but due diligence is needed. Investors scratching the surface of Australia’s innovation ecosystem looking for investment opportunities will quickly find companies ranging from founders needing small amounts of seed capital to growing technology companies raising millions of dollars for scale up growth funding. For investors looking to participate in innovation anywhere along this spectrum of opportunity, part of their due diligence should include ensuring that the business they are considering investing into is aware of and has appropriately leveraged government benefits, such as R&D tax benefits. A common differentiation for savvy innovation investors is that good companies maximise the support they are entitled to and thus the company understands how to stretch every dollar it spends and is going to get the most value out of the investors’ capital. The primary federal government support for innovation businesses is the R&D tax incentive. It provides a very generous cash rebate to early stage innovation companies and many innovators are successfully leveraging it to further their R&D and enhance their commercialisation activities. Investors that are considering a new business should be assessing if a company has made prior R&D tax claims as well as if they are planning to make them in the future. Proper R&D tax due diligence requires far more than a cursory examination of the company’s financial statements. It’s imperative to conduct in-depth due diligence that establishes the quality of all previous claims under the R&D tax incentive. These claims should be defendable and appropriate, and are prepared for reviews and audits by either of the government bodies responsible to regulate them, AusIndustry and the ATO. In the last 12 months the ATO particularly has increased its focus on reviewing companies that have made R&D tax claims and investors should seek independent advice on the strength of the existing R&D tax claims as well as an understanding on the potential of making future R&D tax claims. In a worst-case scenario, companies that have made mistakes with previous R&D tax claims have to repay R&D rebates they have received (potentially with penalties and interest). This creates some risk for investors, since a company that looks like a solid and exciting investment could, in the end, become the subject of an ATO investigation and have to pay back the money it received from the ATO. Depending on the circumstances of the business in question, this could be enough to stifle further innovation or even cause the operation to be wound up, resulting in losses for investors. Lack of evidence that relates the R&D costs to the R&D activities. Good time records are often overlooked that support how to separate a staff member’s time and evidence (not reasons) are required in order to carry out appropriate self-assessment. Investors should consider engaging a specialist in the R&D tax incentive to help conduct an independent analysis of the R&D claim history. Unfortunately, neither the ATO nor AusIndustry provide a list of R&D tax specialists with the adequate experience to conduct these reviews and therefore investors should seek referrals to help them. The R&D tax specialist should have experience in R&D tax in the technology/industry of the business as well as understand the R&D tax issues related to the different life cycle stages of innovation as well as recent experience with ATO and AusIndustry assessments of similar claims. Finally, the due diligence is not only about looking for mistakes of over-claiming — in many circumstances the due diligence may result in an increase in R&D tax claims, and in some instances, companies don’t even realise they should have made R&D tax claims. 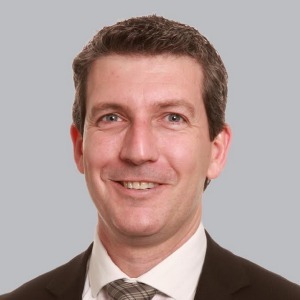 Stephen Carroll, director, RSM Australia.